Tyla was the director of a community mental health center that provided counseling services for low-income people struggling with mental health emergencies and chronic mental illness. A significant percentage of the agency’s clients were refugees and immigrants. Tyla learned that her state’s governor had issued an executive order requiring any agency receiving state funding to ask clients for proof of citizenship. The order further required agencies to notify state and federal law enforcement authorities if an applicant for services was an undocumented immigrant. Tyla, concerned that compliance would undermine clients’ trust and jeopardize the agency’s relationship with the local community, considered whether to comply with the governor’s executive order. Juan was the director of a community action program that provided a wide range of services to low-income clients, including energy assistance, emergency shelter, a food pantry, employment services, literacy education, and substance abuse counseling. Juan learned that as a result of a severe budget crisis, the funding his agency received from state government was being slashed by about 40%. Juan and his board of directors had to make a series of daunting decisions about which programs and employees to terminate, knowing that no matter what they decided, some very vulnerable people would be harmed. Madeline was the executive director of a family services agency that provided clinical services to individuals, couples, families, and small groups of clients. The agency’s accountant notified Madeline of spending irregularities in a large federally funded program for homeless families. After some investigation, she discovered that the program’s director, a longtime agency employee, had misappropriated nearly $25,000 for his personal use. Madeline had to decide whether to report her subordinate’s misconduct to the local police or handle the matter internally. Seasoned social work administrators know that their jobs are sometimes fraught with ethical challenges. It is not enough for administrators to know about budgeting, program planning, grant writing, marketing, and personnel management. They also need a keen understanding of moral dilemmas in administration—that is, circumstances requiring hard choices among competing values, duties, and obligations. To be competent administrators, social workers need a comprehensive and firm grasp of ethical dilemmas in administration; ethical analysis, moral reasoning, and decision-making strategies; and ethical risk-management protocols to protect clients and prevent ethics complaints and litigation. Ethical dilemmas faced by social work administrators tend to fall into three broad groups. First, there are ethical dilemmas that arise out of administrators’ oversight of subordinates’ or employees’ efforts to deliver services. Examples include ethical dilemmas involving confidentiality (e.g., decisions to disclose confidential information to third parties without clients’ consent in order to protect third parties or comply with statutes, regulations, or court orders); boundary issues and conflicts of interest (e.g., decisions staffers and administrators make about whether to accept large financial donations from current clients, staffers’ management of invitations from clients to attend social or life cycle events, or management of requests from clients to barter for services); and professional paternalism (e.g., decisions about whether to place limits on clients who are engaging in self-harming behaviors, such as abusing drugs or refusing services). Second, social work administrators encounter ethical dilemmas involving program and organizational design, administrative policy, and program development. For example, administrators may encounter ethical challenges concerning compliance with unjust contract provisions, statutes, regulations, or policies; allocation of limited or scarce resources (known in the ethics field as issues of distributive justice); use of deceptive marketing practices; and personnel issues involving harassment, affirmative action, labor actions and strikes, and termination of employment. In recent years, social work educators and practitioners have developed widely used protocols for ethical decision making. Similar developments have occurred in every major profession. These conceptual frameworks can be used by administrators to think through how to best handle challenging ethical situations. Typically, these frameworks include a series of steps that social workers can follow as they navigate ethical challenges, including the examination of conflicting values, duties, and obligations; relevant ethical theories and concepts; code of ethics standards; relevant laws, regulations, and policies; social work practice theories and concepts; conflicts between personal and professional values; and the use of ethics consultants and agency-based ethics committees. A compelling reason for social work administrators to acquaint themselves with ethical guidelines and decision-making protocols and to educate staff about ethical issues is to prevent ethics complaints and lawsuits that allege some kind of ethical misjudgment, negligence, or misconduct. Toward these ends, administrators should be familiar with the ethical implications of key legal concepts such as liability, negligence, malpractice, standards of care, acts of commission and omission (misfeasance, malfeasance, nonfeasance), assumption of risk, vicarious liability, joint liability, strict liability, comparative negligence, and client abandonment. Administrators should be especially familiar with major ethics-related risks involving ethical mistakes, decision making, and misconduct. Potential risks involve administrators’ relationships with staffers (e.g., hiring and firing decisions, sexual harassment, discrimination, performance evaluations, staff supervision, management of employee impairment) and clients (e.g., the limits of clients’ right to confidentiality, staffers’ use of high-risk and nontraditional treatment strategies and interventions, management of conflicts of interest and boundary issues, sexual harassment, informed consent, defamation of character, consultation, referral, supervision, documentation, and termination of services). Some of the ethical issues facing social work administrators are straightforward, while others are complex. 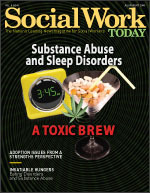 In light of the extraordinary growth of knowledge related to professional and social work ethics, it behooves social work administrators to acquaint themselves with the impressive array of ethical issues that emerge in social service agencies and organizations and with the rich conceptual tools that have evolved in recent years. Administrators should also be familiar with practical strategies designed to protect clients and prevent ethics complaints and lawsuits. Administrators also need to pay close attention to staffers’ need for ethics training and education. Social work administrators’ understanding of ethical issues has matured, as has the development of the profession’s pertinent ethical standards and guidelines. Administrators are in a key position to cultivate and refine their agency’s ethical standards, set a moral tone, and oversee assertive and comprehensive ethics education and training. When ethical dilemmas emerge, administrators sit at the end of the decision-making line and thereby assume considerable responsibility for ultimate outcomes.